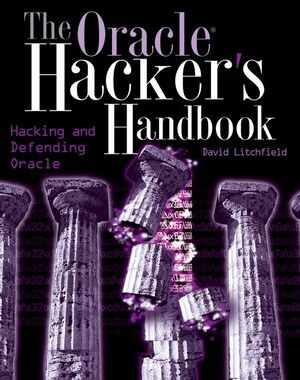 David Litchfield has devoted years to relentlessly searching out the flaws in the Oracle database system and creating defenses against them. Now he offers you his complete arsenal to assess and defend your own Oracle systems. This in-depth guide explores every technique and tool used by black hat hackers to invade and compromise Oracle and then it shows you how to find the weak spots and defend them. 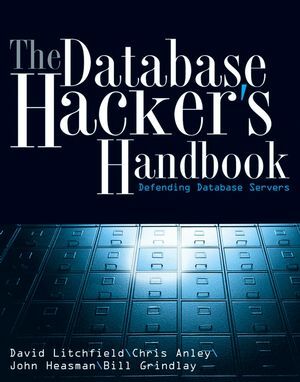 Without that knowledge, you have little chance of keeping your databases truly secure. DAVID LITCHFIELD is founder and chief research scientist of NGSSoftware Ltd., a UK-based security solutions provider. He has been recognized as the world's premier expert on Oracle database security, and is the designer of NGSSQuirreL, a powerful tool for identifying and assessing database vulnerability. David is a regular conference speaker and has lectured government agencies on security topics. Code Samples from the Book. The Listener Version and Status Command. Using the TNS Protocol Version. Using the XML Database Version. Using the TNS Version TTC Function. Attacks Against the Crypto Aspects. Looking in Files for Passwords. Account Enumeration and Brute Force. Wrapping and Unwrapping on 10g. Wrapping and Unwrapping on 9i and Earlier. Injection into SELECT Statements to Get More Data. Injecting into Anonymous PL/SQL Blocks. The Holy Grail of PLSQL Injection. Trigger Happy: Exploiting Triggers for Fun and Profit. The MDSYS.SDO_GEOM_TRIG_INS1 and SDO_GEOM_TRIG_INS1 Triggers. AHop, a Step, and a Jump: Getting DBA Privileges Indirectly. Getting DBA from CREATE ANY TRIGGER. Getting DBA from CREATE ANY VIEW. Getting DBA from EXECUTE ANY PROCEDURE. Getting DBA from Just CREATE PROCEDURE. Tricking Oracle into Dropping a Policy. Defeating VPDs with Raw File Access. Recognizing the Oracle PL/SQL Gateway. Verifying the Existence of the Oracle PL/SQL Gateway. The Web Server HTTP Server Response Header. How the Oracle PL/SQL Gateway Communicates with the Database Server. Running OS Commands through PL/SQL. Running OS Commands through Java. Running OS Commands Using DBMS_SCHEDULER. Running OS Commands Directly with the Job Scheduler. Running OS Commands Using ALTER SYSTEM. Accessing the File System Using the UTL_FILE Package. Accessing the File System Using Java. Exploring Operating System Environment Variables. Using DNS Queries and UTL_INADDR. Encrypting Data Prior to Exfiltrating. Attacking Other Systems on the Network. Download a .zip file with all the code and example files used in the book.